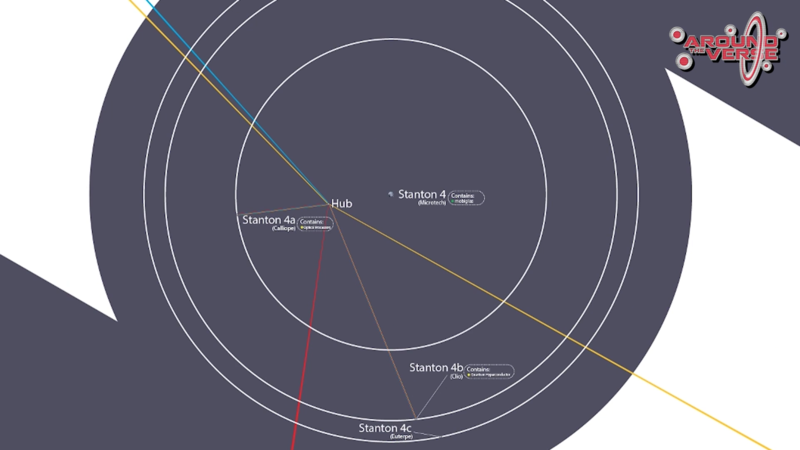 Taking a deeper look at the Stanton System Map shown on this week's Around the 'Verse and what it is trying to show us. 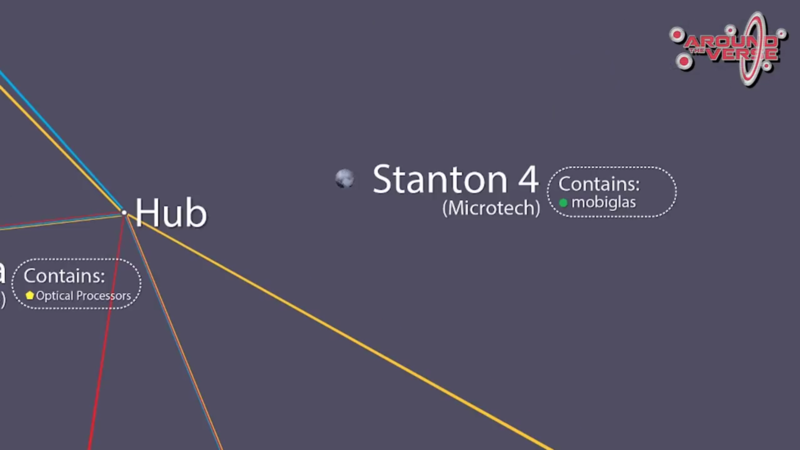 Yesterday on Around the 'Verse, Foundry 42 UK showed off a map of Stanton they have been using as an internal tool. I've taken a long, hard look at this map and there are some interesting features. Once you can see the whole system you can hardly see where you started off. 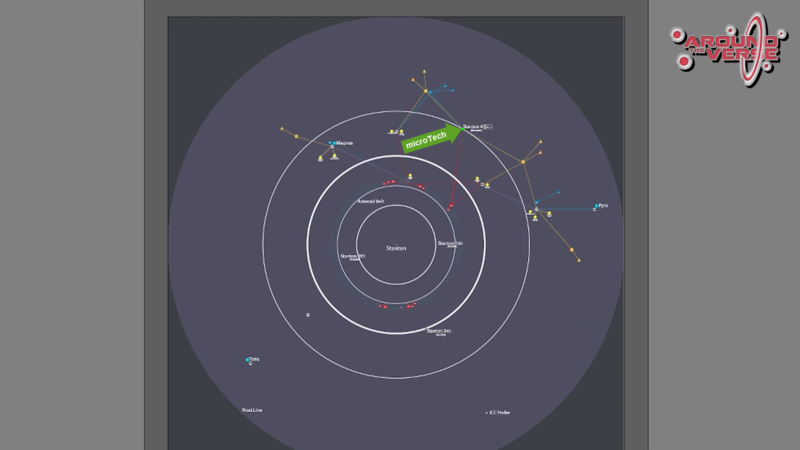 The second major topic is that I believe this map is entirely focused around mobiGlas production (indicated with a green circle) on microTech. These are factories or facilities producing intermediate products, components, for the mobiGlas. Some of these facilities seem to be located on space stations while others are based on moons or planets. Large space stations seem to be indicated by white circles indicating Hubs. Red squares seem to indicate an ore hub or refinery, with red triangles representing the sources of the ores, and the red lines showing the flow of ore throughout the system to the various factories. The source here is obviously asteroids. Blue squares seem to indicate a liquid hub or refinery, with blue triangles representing the sources of the liquids, and the blue lines show the flow of liquids throughout the system to various locations. I would guess the sources would be nebulas or comets. Similarly with gases, orange squares for gas hub or refinery, with orange triangles for the gas sources, and the orange lines showing the flow of gases around the system. For gases in this instance I believe the source is likely nebulas. I suspect some of these liquids and gases are fuels while others may be raw materials. You can clearly see the lines from all of these materials flowing to stations and factories. In addition, the teal circles are jump points to other various systems (Magnus, Pyro, Terra). From looking at the map I also believe that it is showing the nearest sources of the required items. 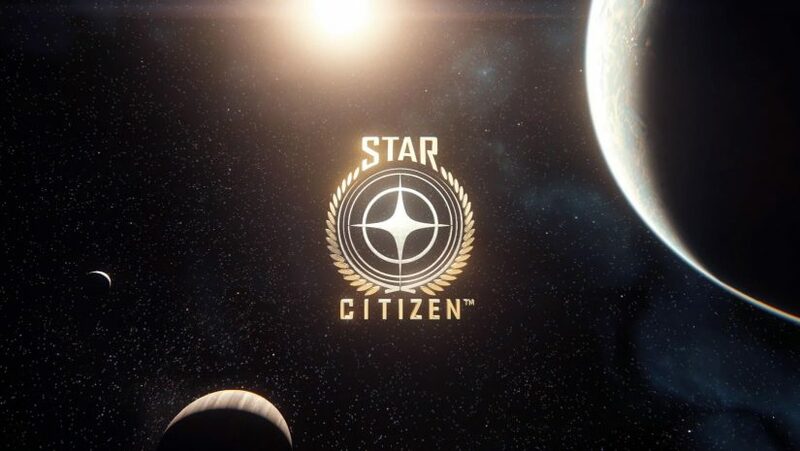 What this shows us is the complexity of the underlying economy in Star Citizen. For every product such as mobiGlas in the game, there are components that go into producing it which are themselves created from raw materials. Raw materials are mined, transported, refined, possibly transported again, and then used to make components (such as Optical Processors). Those components are manufactured and then transported to another factory to be combined with other components to create a product. This type of complex economy should create a dynamic game universe as disruption of any of these processes would have a rippling effect through the economy and spawn missions to resolve the disruption. Beyond missions, this ripple would also affect the availability and pricing of the raw materials, components, and final product itself. - A MISC Prospector pilot takes a mission to provide platinum ore to an ore refinery, as the refinery is running low on its finished product. The Prospector finds a platinum ore field nearby the refinery and begins mining. Once full of ore, the miner flies to the refining station. - The ore refinery pays the Prospector pilot for delivering the unrefined ore and produces pure platinum from the ore.
- Component factory aboard a space station contracts a MISC Hull B to deliver pure platinum from the refinery. - Hull B pilot picks up platinum shipment from Refinery and transports it to the component factory. - Component factory aboard the space station pays the Hull B pilot for delivery of the refined platinum and uses it, along with other raw materials similarly sourced, to manufacture Optical Processors. - Factory on microTech contracts Freelancer pilot to deliver Optical Processors to be used in production of mobiGlas. - Freelancer pilot picks up shipment from Optical Processor component factory. However, before he departs he visits the local bar and contracts a Sabre pilot to defend him as the Optical Processors are very valuable cargo. Bartender overhears conversation and informs local pirate group. - While trying to deliver the cargo to microTech, the Freelancer and Sabre are interdicted and attacked by a pirate fleet consisting of 3 Cutlass Blacks, an Avenger Warlock, and a Caterpillar. Unfortunately despite a valiant effort the Sabre is quickly destroyed, although the pilot escapes in time. The Freelancer is disabled and boarded, its cargo stolen by the pirates. - The Freelancer pilot initiates call for help and then EVAs and recovers the injured Sabre pilot, providing first aid once back aboard. - Freelancer messages factory on microTech about pirate attack. 1) Find and destroy pirate fleet. - Crucible pilot receives distress call and quantum jumps to the disabled Freelancer. Crucible repairs the Freelancer rapidly. Freelancer pilot pays Crucible pilot for repairs. - Rescued Sabre pilot agrees to serve as gunner aboard Freelancer until his new Sabre is ready. Thank you for reading! Keep in mind this article contains a lot of inference based on the available information. It should not be taken as fact.